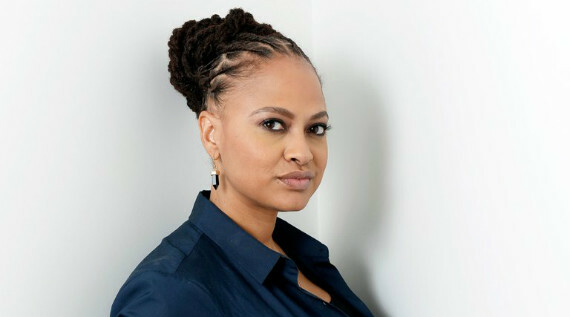 In the wake of SELMA’s incredible critical and popular success, director Ava DuVernay has taken up the fight for women and minority filmmakers with a podcast, keynote speeches, social media movements, and now a return to documentary filmmaking with THE 13TH, “about the United States’ sky-high incarceration rate,” according to Cara Buckley of The New York Times. DuVernay’s last nonfiction project was VENUS VS., the first episode of ESPN’s Nine for IX series which celebrated women in sports with female filmmakers at the helm of each episode. The Film Society of Lincoln Center broke the news that DuVernay’s film will be the first documentary to ever kick off the New York Film Festival and will then head to select theaters and Netflix, while Jen Chung of Gothamist and Vikram Murthi of IndieWire each reported the break. This week DuVernay appeared alongside Jamal Joseph on The Close-up to talk about her new film and more. In other festival news, the Toronto International Film Festival released details about its annual Doc Conference, including a keynote by Steve James reports Kevin Ritchie of Realscreen. More notably at IndieWire, Anne Thompson broke the news that Michael Moore’s Traverse City Film Festival has boldly programmed its entire competition with 32 films, every single one directed by, or co-directed by women, while male directors have been relegated to a small 5 film side bar titled “Men Make Movies —The Struggle Continues.” While Basil Tsiokos previewed the doc offerings at NYC’s Asian American International Film Festival over at What (not) To Doc, Michael Rosser reported that the Sarajevo Film Fest has revealed its documentary competition titles at Screen Daily. Meanwhile over at Sight & Sound, Nick James reflected on this year’s Edinburgh International Film Festival, singling out CHICAGO BOYS, LOST IN FRANCE and THE LOVERS AND THE DESPOT as intriguing highlights, as Alissa Simon listed her favorites from the Karlovy Vary International Film Festival, noting Miroslav Janek’s NORMAL AUTISTIC FILM and DOOMED BEAUTY from Helena Třeštíková and Jakub Hejna as standouts. And at Little White Lies, Matt Turner celebrated “the young female directors leading Mexico’s cinema revolution” that made their appearance at Karlovy Vary. Following the Emmy nominee announcement from the week prior, last week the nominations for the 37th Annual News and Documentary Emmy Awards were released. As Realscreen’s Daniele Alcinii noted, Steve James’ LIFE ITSELF, Miri Navasky and Karen O’Connor’s GROWING UP TRANS, Nick Read’s BOLSHOI BABYON, John Maloof and Charlie Siskel’s FINDING VIVIAN MAIER and Zachary Heinzerling’s CUTIE AND THE BOXER are up for Best Documentary. Though Clay Tweel’s GLEASON was selected as WNYC‘s Documentary of the Week, it was the Jack Pettibone Riccobono directed, Terrence Malick produced THE SEVENTH FIRE that most excited critics this week. Garnering warm reviews from IndieWire’s David Ehrlich, Hammer to Nail’s Christopher Llewellyn Reed, and Nonfics’ Daniel Walber, as well a NYT Critics’ Pick selection by Glenn Kenny, the film was also received a lengthy feature from Rebecca Bengal in Vogue. Among the other docs that cropped up in the media this week were THE FALL, reviewed by Peter Bradshaw in The Guardian, HOOLIGAN SPARROW and LIFE, ANIMATED, both covered by Matt Fagerholm at RogerEbert.com, and AUTHOR: THE JT LEROY STORY, which was lavishly featured by Steve Rose in The Guardian. The Guardian also published Nigel M. Smith‘s lengthy interview with Joe Berlinger on his new film TONY ROBBINS: I AM NOT YOUR GURU. Newly streaming is Joanna Rudnick’s Emmy nominated IN THE FAMILY, via Kartemquin Films, as is Brett Marty & Josh Izenberg’s space exploration short THE SEARCH FOR EARTH PROXIMA, which received some love this past week from Andrew Liptak at The Verge. Additionally, Ricardo Bilton of Nieman Lab reminded the world of The Economist’s little known films division that regularly produces doc shorts like 24 & READY TO DIE and new VR pieces like RECOVVR: MOSUL. I’ll leave you this week with an expansive, must read piece by Edwin Martinez, published at IDA’s website, titled “The Hidden Colonialism of Documentary”. As always, if you have any tips or recommendations for next week’s Memo, please contact me via email here, or on Twitter, @Rectangular_Eye.